Not feeling confident enough to build a bot from scratch? Me neither, as it sounds like hard work, right? Guess what? It’s not difficult at all! A huge num ber of Facebook Messenger bots have been used by companies since Facebook made its platform accessible in April, and businesses have welcomed the trend. A few organizations, for example, CNN and the Wall Street Journal, created news bots for day by day use, while others have explored different niche bots regarding specific subjects or occasions, such as covering the political conventions in the US or reemerging content from their files. Setting up a bot doesn’t require a group of programmers or a large amount of code, as numerous platforms can deal with the specialized angles for you. 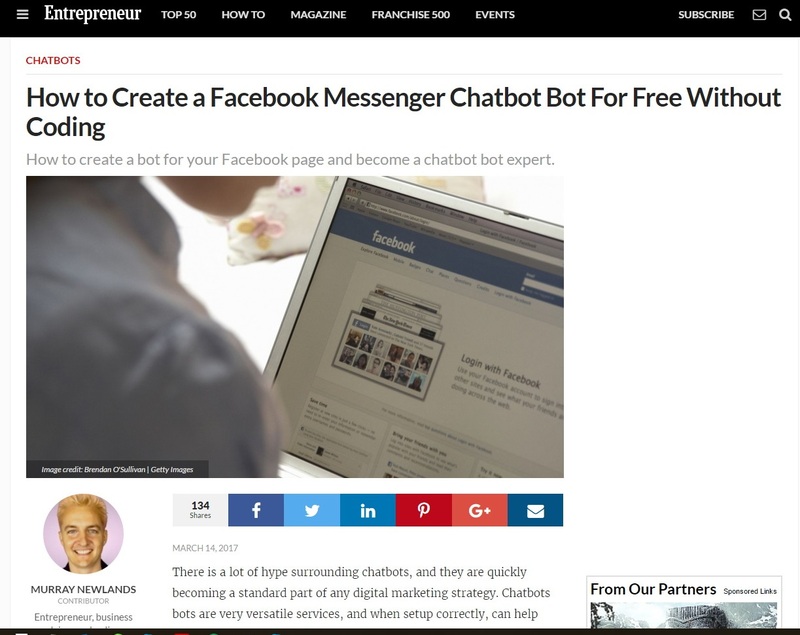 Murray Newlands, in his new article How to Create a Facebook Messenger Chatbot For Free Without Coding , highlights several tools which are accessible to build your first chat bot, including chattypeople. Make sure to read the article and make your first bot all on your own!